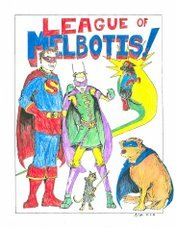 League of Melbotis: Superman Genesis not all "Gee-Whiz"? I appreciate your statement that the real orgigin is probably complex, stemming from their fantasies, mainstream readings of their childhood and yes, perhaps even their own tramatic events. 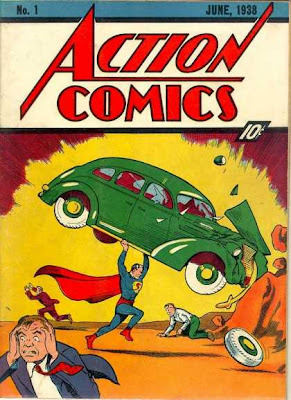 I also stand by that the "Superman Lame" force sweeping nerd folk is a backlash from the fact that he's the first, the most popular and therefore the one who is derided above all. Hey, if you get a chance listen to this interview with Brad Meltzer on Word Balloon. At around the 20 minute mark he makes some comments regarding the death of Siegel's father.